This has to be one of the coolest things I’ve ever seen one of my logo designs being used/manipulated and/or recreated! 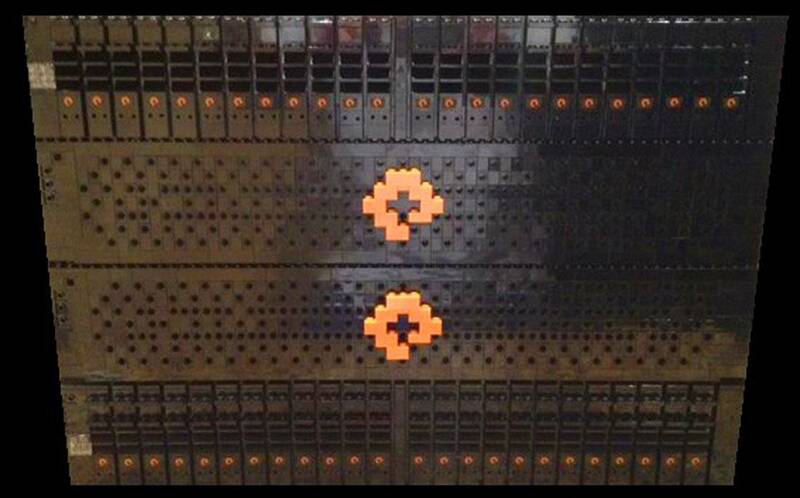 A whole bloody PureStorage Flash Array made completely out of Lego. There is a back-story to this Lego version of the logo, it wasn’t like just done for kicks, although nothing wrong in that either. 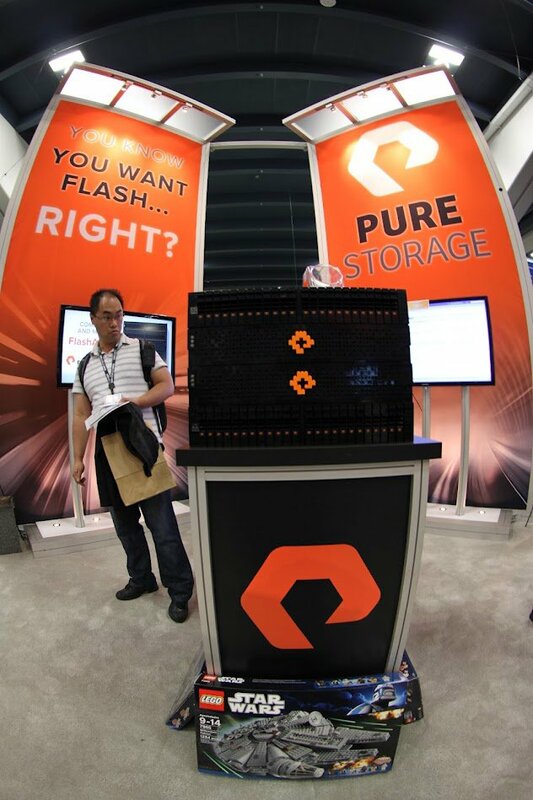 Back in 2012 PureStorage were exhibiting the Pure Storage flash arrays over at VMWorld. Part of the fun was running this live contest in which this Lego version was featured, and people had to guess how many Lego bricks were used. Turns out someone ‘calculated’ the exact number of Lego bricks used: 6,128 bricks to be exact. I’ve only just posted the funny PureStorage video which was over on Vimeo, but this completely takes things to a whole new level. So very exciting to see ones logo design being used in such exciting ways, and I’m just super proud that PureStorage are so behind the logo I designed for them. 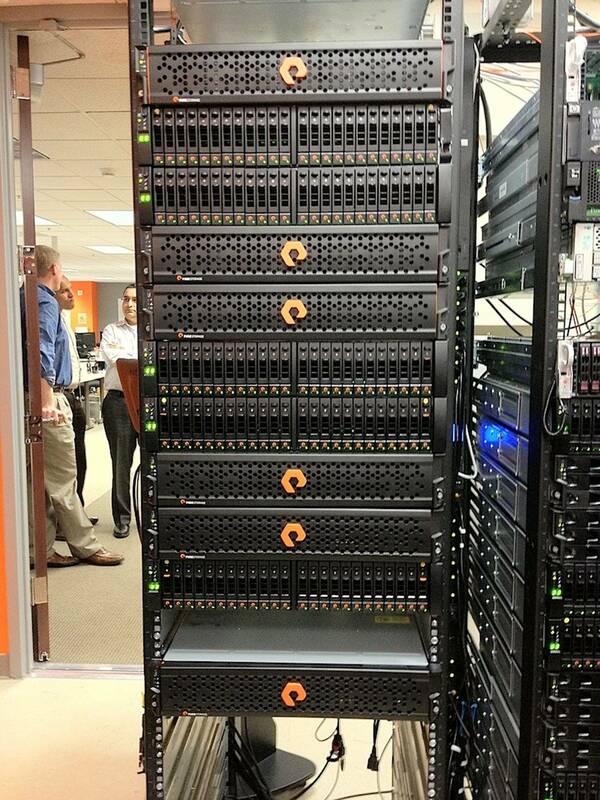 And to finish-up with, a proud looking Pure Storage Flash Array in all it’s glory. Notice that all the little air-vents are shaped from the Pure Storage logo. « Previous Post: How Many Times Can You Spot My Pure Storage Logo In This Funny Promo Video?